These women presented the trophies to the winners in each category. They're wearing Hanboks, the traditional North Korean National Dress. Everybody is also wearing the double-portrait "Kim Pin", in varying styles. These women presented the trophies to the winners in each category. 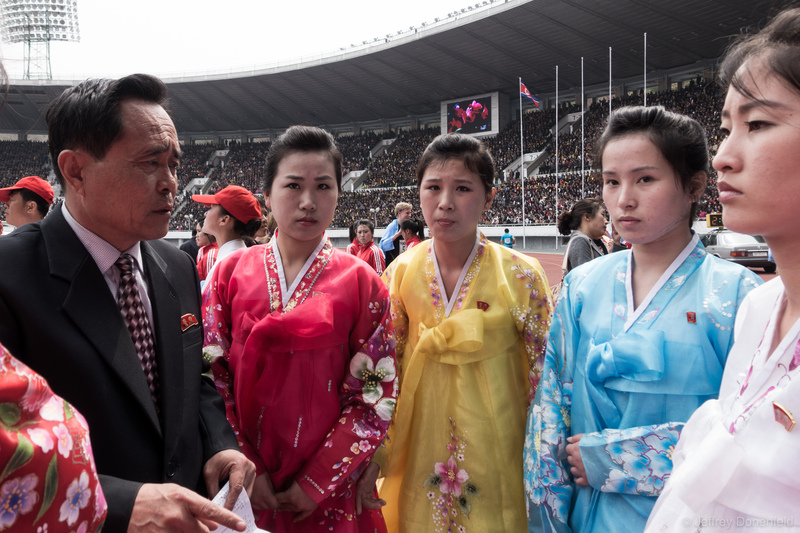 They’re wearing Hanboks, the traditional North Korean National Dress. Everybody is also wearing the double-portrait “Kim Pin”, in varying styles.